We intend to start shipping .NET Core 2.1 previews on a monthly basis starting this month, leading to a final release in the first half of 2018. .NET Core is the cross-platform, open source implementation of the .NET Framework. 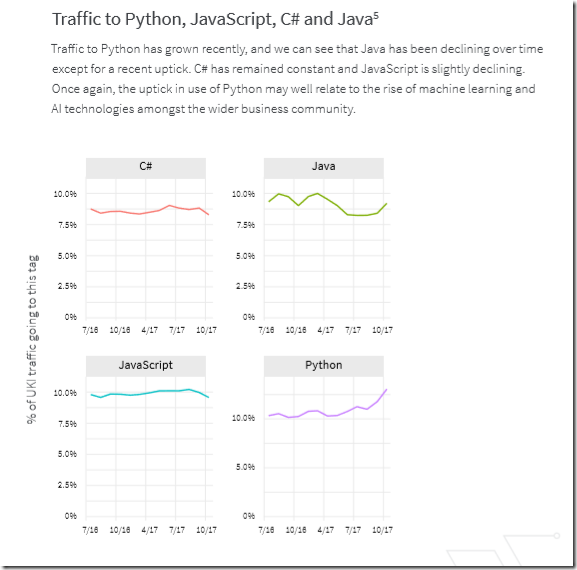 It provides a future for C# and .NET even if Windows declines. The point that interest me though is the extent to which Microsoft can establish .NET Core beyond the Microsoft-platform community. Personally I like C# and would like to see it have a strong future. There is plenty of goodness in .NET Core. Performance seems to be better in many cases, and cross-platforms is a big advantage. That said, there is plenty of confusion too. Microsoft has three major implementations of .NET: the .NET Framework for Windows, Xamarin/Mono for cross-platform, and .NET Core for, umm, cross-platform. 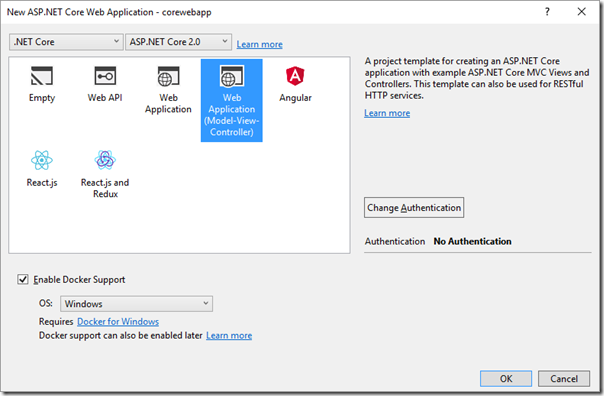 If you want cross-platform ASP.NET you will use .NET Core. If you want cross-platform Windows/iOS/macOS/Android, then it’s Xamarin/Mono. The specification is not singular, but an incrementally growing and linearly versioned set of APIs. The first version of the standard establishes a baseline set of APIs. Subsequent versions add APIs and inherit APIs defined by previous versions. There is no established provision for removing APIs from the standard. .NET Standard is not specific to any one .NET implementation, nor does it match the versioning scheme of any of those runtimes. 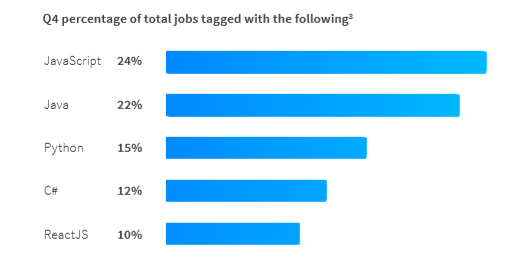 APIs added to any of the implementations (such as, .NET Framework, .NET Core and Mono) can be considered as candidates to add to the specification, particularly if they are thought to be fundamental in nature. Microsoft also says that plenty of code is shared between the various implementations. True, but it still strikes me that having both Xamarin/Mono and .NET Core is one cross-platform implementation too many. Microsoft updates the .NET stack with .NET Core 2.0 and updated Visual Studio. Should you use it? Microsoft has released .NET Core 2.0, a major update to its open source, cross-platform version of the .NET runtime and C# language. New features include implementation of .NET Standard 2.0 (a way of targeting code to run under multiple .NET platforms), new platform support including Debian Stretch, macOS High Sierra and Suse Linux Enterprise Server 12 SP2. There is preview support for both Linux and Windows on ARM32. 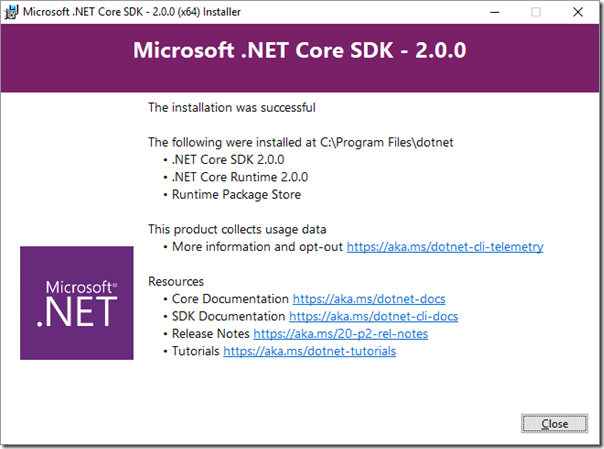 .NET Core 2.0 now supports Visual Basic as well as C# and F#. The version of C# has been bumped to 7.1, including async Main method support, inferred tuple names and default expressions. Microsoft has also released Visual Studio 2017 15.3, which is required if you want to use .NET Core 2.0. New Visual Studio features include Azure Stack support, C’# 7.1 support, .NET Framework 4.7 support, and other new features and fixes. 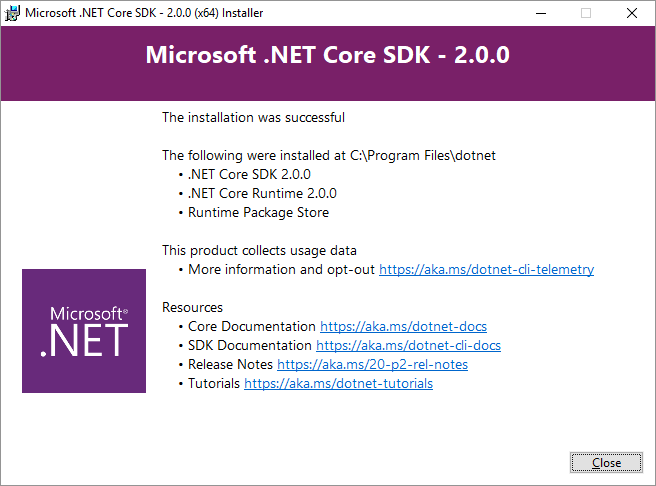 I updated Visual Studio and downloaded the new .NET Core 2.0 SDK and was soon up and running. Note the statement about “This product collects usage data” of which more below. The sample ASP.NET MVC application worked first time. How is .NET Core doing? The whole .NET picture is desperately confusing and I get the impression that most .NET developers, while they may have paid some attention to what is happening, have concluded that the safe path is to continue with the Window-only .NET Framework. At the same time, .NET Core is strategically important to Microsoft. Cross-platform support means that C# has a life on the Mac and on Linux, which is vital to its health considering the popularity of the Mac amongst developers, and of Linux as a deployment platform for web applications. 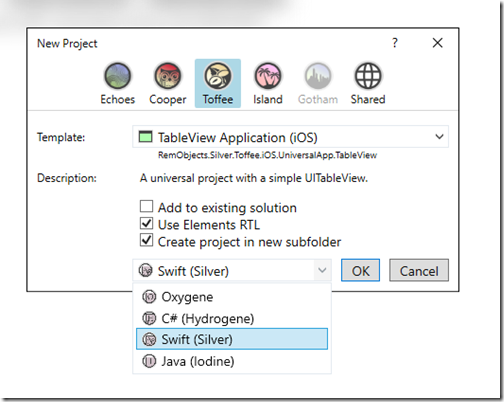 Visual Studio for Mac has also been updated and supports .NET Core 2.0 in the new version. Another key piece is the container trend. .NET Core is ideal for container deployment, and the only version of .NET supported in Windows Nano Server. If you want to embrace microservices running in containers, while still developing with C#, .NET Core and Nano Server is the optimum solution. 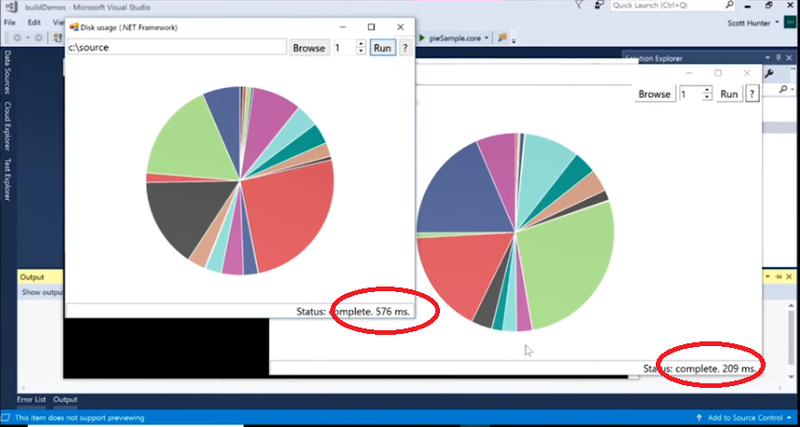 Why not use .NET Core, especially since it is faster than ASP.NET? 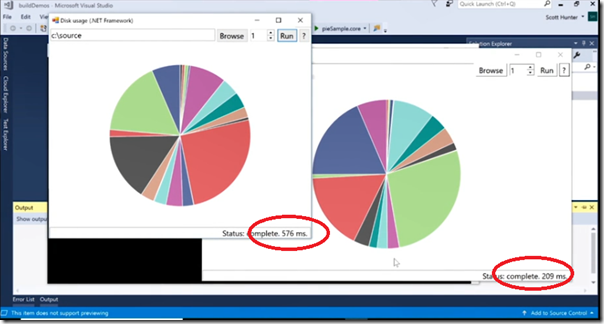 In these comparisons, .NET Core comes out as substantially faster than .NET Framework for various algorithms – 600 times faster in one case. The main issue is compatibility. .NET Core is a subset of the .NET Framework, and being a relative newcomer, it lacks the same level of third-party support. Another factor is that there is no support for desktop applications, though some solutions have been devised. Microsoft does have a cross-platform GUI story, in Xamarin Forms, which is now in preview for macOS alongside iOS, Android, Windows and Tizen. If Xamarin used .NET Core that would be a great solution, but it does not (though it does support .NET Standard 2.0). Answering 4 months later but people should know: Definitely not, it is still not usable unless you are doing something very trivial and/or have very small DB. I don’t understand how it is possible for MS to ship it, act like it’s OK and sparsely here and there provide shallow information about its limitations like in this article without warning clearly and explicitly about the serious issues this “v1 product” has. Someone may jump in and say no, it is fine; but there are undoubtedly missing pieces and I would suggest caution. You can also access data using the Connection/Command/DataReader approach which avoids EF, and although this is more work, this is what I would be inclined to do personally since you get the best performance and flexibility. 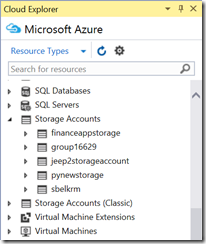 Here is an example for SQL Server. 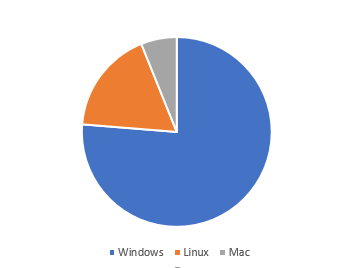 Given that this excludes Visual Studio users, who are also on Windows, we can conclude that the great majority of .NET Core developers use Windows, and only a tiny minority Mac (I do not know if Visual Studio for Mac usage is included). This is evidence that .NET Core has so far failed in its goal of persuading Mac-using developers to adopt .NET. 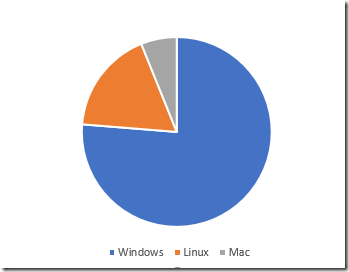 It does show interest in deploying .NET applications to Linux, which is an obvious win in licensing costs as well as performance. I would be interested in comments from developers on whether or not they use .NET Core and why. Microsoft ran a Xamarin Challenge over on Paul Thurrott’s site. The idea was to demo how to build a cross-platform mobile app with Microsoft’s cross-platform mobile toolkit. The challenge was in three steps. 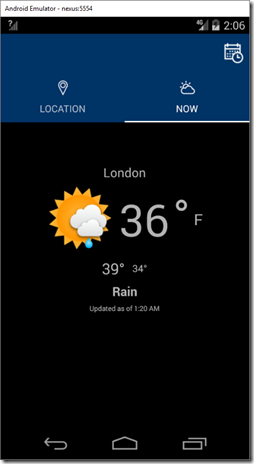 You build a weather app, complete with crash analytics on the Visual Studio Mobile Center. Someone did a lot of work on this, and the app looks pretty and works nicely once you get it running. Despite this, I am not sure that the challenge was altogether successful. It is a step-by-step which in theory involves no developer expertise as you simply copy and paste code into your project. I am not sure that is the best way to learn, but that is by the by. I doubt that learning how to code for Xamarin was the primary goal of the challenge. I’d guess it was more about showing how easily you can build a cross-platform app (Android, iOS and Windows UWP) using Xamarin, C# and Visual Studio 2017. Well, in fact a little bit of developer expertise was required to complete the challenge, because the step by step instructions did not quite work (in my experience). 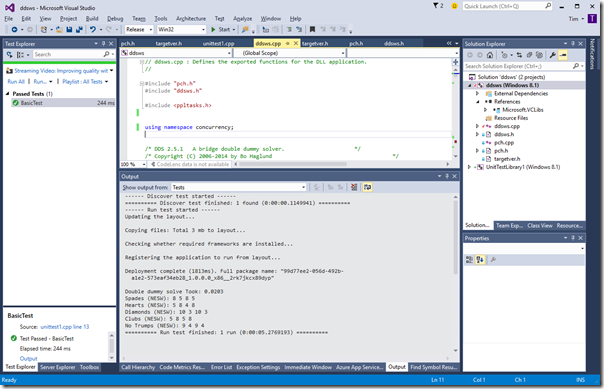 I did not make a note of all the times I had to do something not in the given steps, but there were many occasions, the main issues being around using the Visual Studio Android emulator, NuGet package management, and a few small tweaks to the code itself. The code as given made no allowance for the cloud services it called being offline, or the connection to the internet not being available, but would simply crash in this case. Myself and 5 other developers in our office attempted the challenge and none of us have been able to get past the first challenge. We are not Microsoft Visual Studio experts so we had hoped following the provided instructions would be sufficient. The upload was failing on a discrepancy between 2 different versions of the Json package, which somehow had crept into the project. Installing over 40 updates in Nuget resolved this. Many thanks for running this challenge –this was very useful and worthwhile. I just wish modern development did not feel like trying to dance on a mile high stack of chairs with a leg missing on the bottommost one! 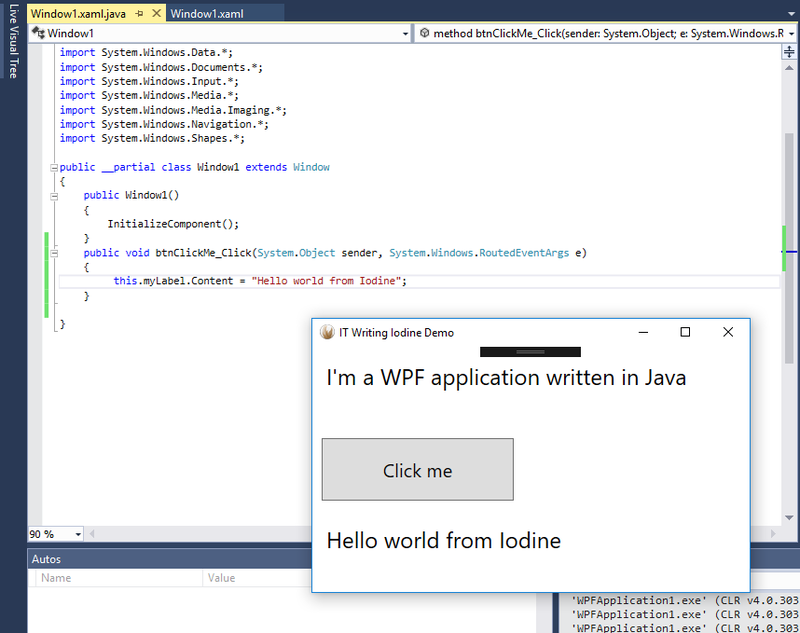 I got a late start on the challenge and was able to complete part 1 pretty quickly but was only able to run the UWP locally. I cannot seem to get either the Windows mobile emulator or Android emulators to run successfully. I can’t deploy to the Window Mobile emulator, it returns an error indicating the emulator failed to start. As for the Android emulator, it launches, but the emulator does not have a connection to the network, so the application encounters an exception. I like Xamarin; it does an amazing job in enabling cross-platform development with C# and it would be my tool of choice for cross-platform mobile development. It is not always straightforward though, and the kinds of issues experienced by the challenge participants illustrate what can go wrong. If you just use the native toolkits, such as Android Studio and Xcode, you will have a smoother experience, but of course miss out on the productivity benefit of cross-platform code. That is the trade-off you make. I am writing a Bridge game in C# – yes, I have been doing this for some time, it does run now but it is not ready for public unveiling. It is good fun though and a learning experience, as I am writing it as a Windows 8 Store app. This means it can also be a Universal Windows Platform app but I have kept it compatible with Window 8.1 as I don’t want to lose that large market of Windows 8 users who have not upgraded to 10. Hmm. Bridge is a card game in which a pack of 52 cards is dealt into 4 hands of 13 cards. Each hand is played as a sequence of 13 4-card “tricks”, and each trick is won one of two opposing pairs of players according to the cards played. Each pair of course tries to win as many tricks as possible, so one of the points of interests is how many tricks can be won if you play perfectly (ie with full knowledge of all four hands). Another point of interest is how each card played affects the potential number of tricks you can win with best play. For example, leading a King might cost you a trick (or more) if your opponents hold both the Ace and the Queen of that suit. This is called “double dummy” analysis and smart people have written algorithms to calculate the answers. A double dummy analysis is useful in a bridge game for two reasons. One is that users may like to know, after playing a hand, what their best score could have been, or even to analyse the hand and see how if they played this card rather than that card at trick such-and-such the outcome would have varied. The other is that you can use it to assist the software in finding the best play. Of course it is important that the software plays fair by not using knowledge of all four hands beyond what would be known by human players; but it is legitimate to try out various possible hands that match what is currently known and use double dummy analysis on these hands. One such smart person is Bo Haglund who wrote a C++ Windows library for double dummy analysis, called Double Dummy Solver (DDS) and released it as open source under the Apache 2 license. 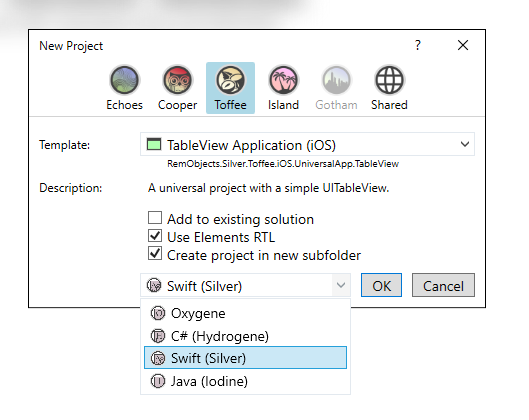 It works very well and is widely used in the Bridge software community, and has now been ported to Mac and Linux; you can find the latest code on Github. I wanted to use the library in my own Bridge game but faced a compatibility problem. 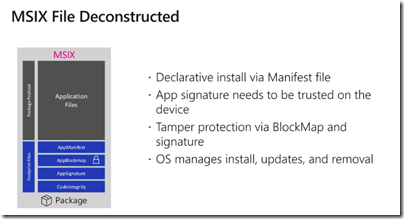 Windows Store apps can only call into DLLs that meet certain requirements, such as using only a subset of the Windows API, and DDS did not meet those requirements. My choice was either to port the DLL to C#, or to modify the code so that it would work as a Windows Runtime native DLL. I have no doubt that the code could be ported to C# but it looks like rather a long job that would result in a library with slower performance (please feel free to prove me wrong). I thought it would be more realistic to modify the code, so I created a new Windows 8.1 DLL project in Visual Studio 2013 (I am now using Visual Studio 2015 but it is the same for this) and set about modifying the code so that it would compile. In no particular order, here are some notes on what I learned. I was able to get the DLL to compile after disabling the multi-threading support (more on this later), and commenting out some functions that I don’t yet need. Another issue I hit was that Visual C++ by default performs “Security Development Lifecycle” checks (compile with /sdl). This means that that common functions like strcpy, strcat, sprintf and others will not compile. You have to use “secure” versions of those functions, strcpy_s, strcat_s, sprintf_s and so on. These are specific to Microsoft’s libraries though. Of course you can just not compile with /sdl, or define _CRT_SECURE_NO_WARNINGS, but I chose to fix all of these. Now the library compiled. But did it work? No. I had introduced a stupid bug which took me a while to fix. Did it then work? Yes, but it took me some time to get it working from C#. Then I discovered that all you need to do is to add a reference to the Visual C++ runtime packages, much easier. That fixed DLLNotFound. Next, I had some problems calling the 64-bit DLL with Platform Invoke (PInvoke) from C#. I found it easier to compile both my C# app and the DLL itself as 32-bit code. I may go back to the 64-bit option later. Now I had everything working; except that my DDS port was far inferior to the standard one because it was single-threaded. The original used QueueUserWorkItem which is not available in a Windows Runtime DLL. I searched for what to do, and came across this MSDN article which recommends using RunAsync, WorkItemHandler and IAsyncAction. However my DLL was not currently compiled using /ZW for “Consume Windows Runtime Extension”. I could add that of course; but then my DLL would have a dependency on the Windows Runtime and if I wanted to use the code for, say, Windows 7, it would not work. or not without yet more #ifdef blocks. No big deal perhaps; but my preference was to avoid this dependency. to the top of the code. It works well, speeding performance by about three times on my quad-core desktop. Of course I was greatly helped by the fact that the code was already written with concurrency in mind. The effect is spoiled by the time it takes to load the DLL but fortunately you can get DDS to solve multiple boards in one call though I have yet to experiment with this. Windows 10 is released in just 9 days, so all eyes will be on this and its new/old app platform – the Universal Windows Platform, based on the Windows Runtime, as found in Windows 8, but considerably revised so that developers can in theory write one app and run it on any Windows 10 device, from PC to tablet to phone to Xbox to HoloLens, and sell or distribute it from a unified Windows Store. Why then make all these changes to the Start Menu with Windows 10? It’s not because I just want to bring back the old. It’s because that’s the best way to improve the liquidity [of] our store. Windows 8 was great except that nobody discovered the store. In Windows 10, the store is right there and done in a tasteful way. 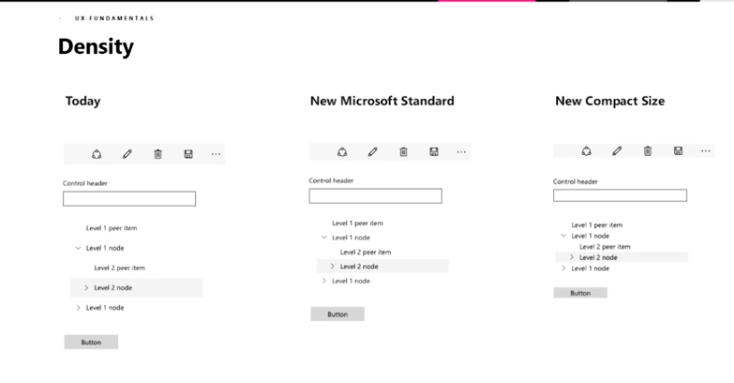 The Store is more visible in Windows 10 than in 8 because in Windows 10 there are no longer two separate environments (Metro and desktop), but only one (desktop). Windows Runtime apps run in desktop windows. This makes the experience a little worse for tablet users, but the advantage is that now desktop users are more likely to interact with the Store, and more likely to use the apps they install, since they run in a familiar environment. Another key change is “Project Centennial”, which I wrote up for the Register here. This lets developers package desktop apps for delivery from the Store, using app virtualisation (based on an Enterprise product called App-V). If Microsoft gets this right, Project Centennial will be the preferred way to deliver most desktop apps, since it is both easier and safer for the user. 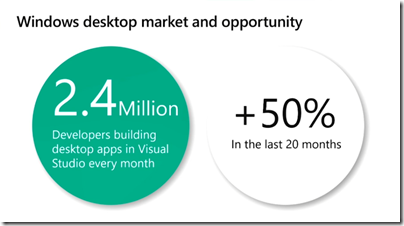 If the Store does take off (and if it does not, Windows 10 will in part have failed), then Visual Studio will be the key tool for created or repackaging apps for Windows. Windows 10 is important, but so too is Azure, Microsoft’s cloud platform. 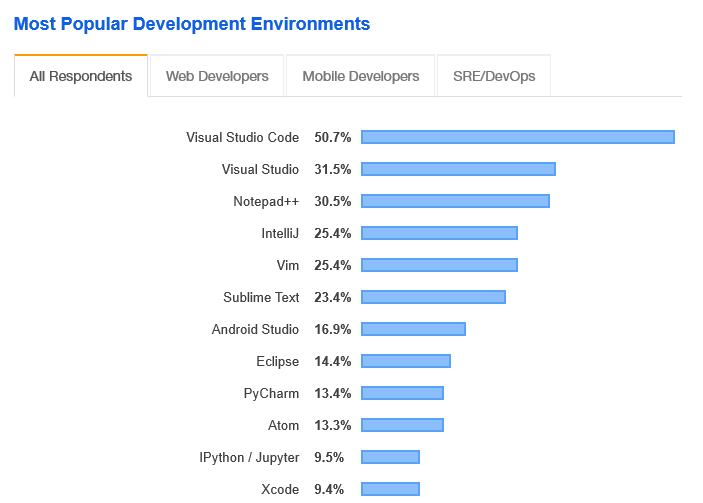 Visual Studio has a key role here, too. 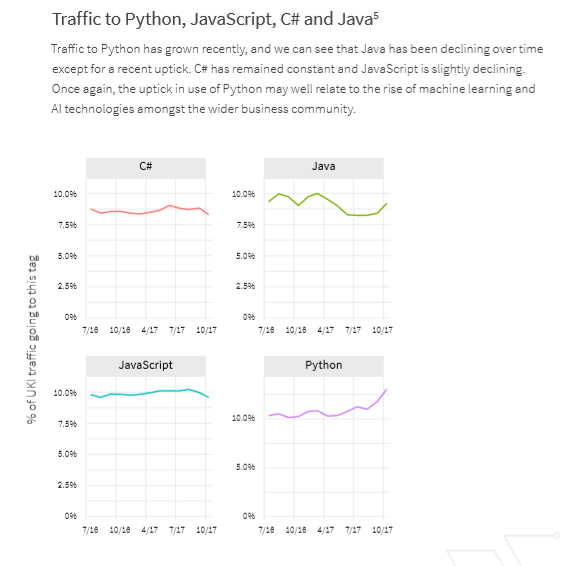 Microsoft has an entire stack, including Windows as both operating system and development environment, Visual Studio for coding and testing, and Azure for hosting cloud applications. 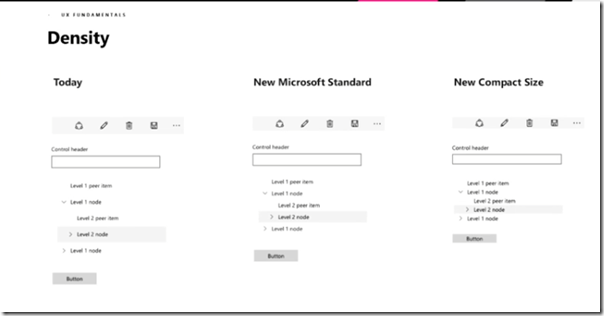 Since the early days of Azure, the development experience has improved, so that with a modest understanding of the ASP.NET MVC framework you can go from an idea to a working demo, hosted on Azure, that you can show customers, in a short space of time. 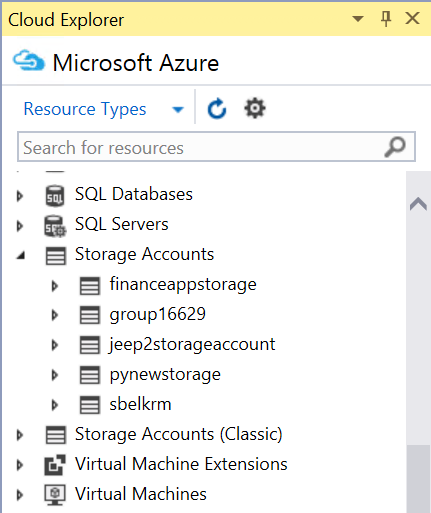 There is also a new Cloud Explorer in Visual Studio which lets you view Azure resources from the IDE. Mobile is Microsoft’s weak point, but the the company has made efforts to support Android and iOS both through mobile service back-ends hosted on Azure, and by supporting various approaches to building cross-platform apps. 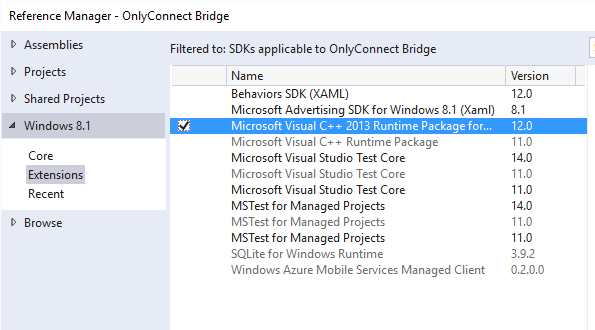 Visual Studio 2015 includes Xamarin project types, though out of the box these just tell you to go and install Xamarin, which lets you build Android and iOS apps with C#, subject to a separate Xamarin subscription. Another option is to use Microsoft’s new iOS tools to code in Visual Studio while targeting Apple’s mobile platform, though this does require a Mac running a remote agent. 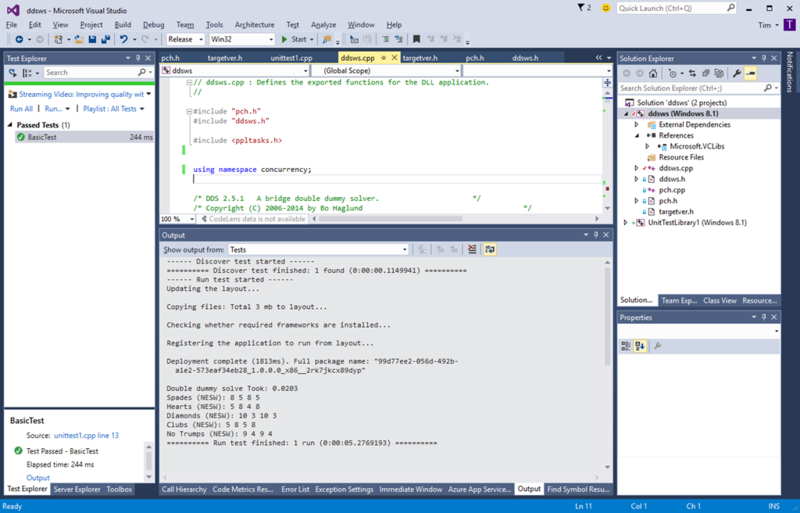 Visual Studio comes with an Android emulator, based on Hyper-V, for debugging either Xamarin or Cordova apps. Xamarin also offers its own emulator and I am not sure how these compare. In addition to the above, Visual Studio 2015 introduces C# 6.0, Visual Basic 12, the Roslyn compiler platform which enables new IDE features, and .NET Core which is an open source, cross-platform fork of the .NET Framework. 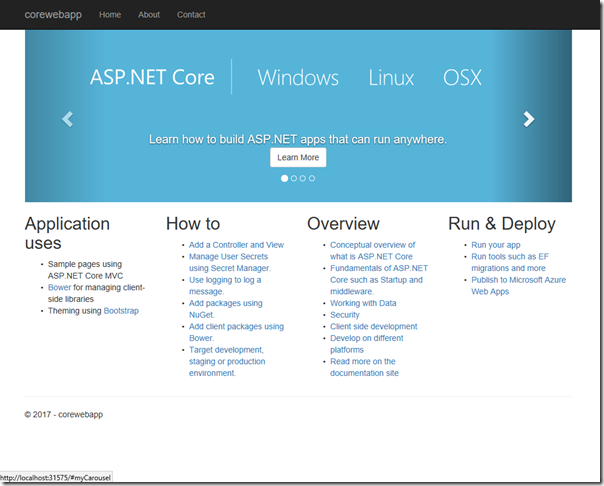 Thanks to .NET Core, the latest version of ASP.NET runs on Mac and Linux as well as Windows. 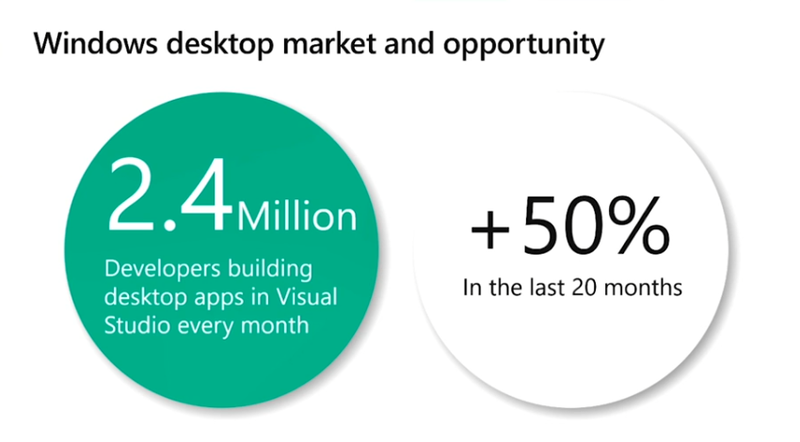 Despite Microsoft’s new cross-platform focus, Visual Studio itself runs only on Windows. In a world of Mac-wielding developers that is a problem, so the company has come up with Visual Studio code, an editor with some IDE features that runs on Window, Mac and Linux. Other options for non-Windows developers are to run Windows in an emulator such as Parallels, or on a virtual machine hosted in the code (Azure has suitable pre-baked images with Visual Studio), or to use third-party tools. 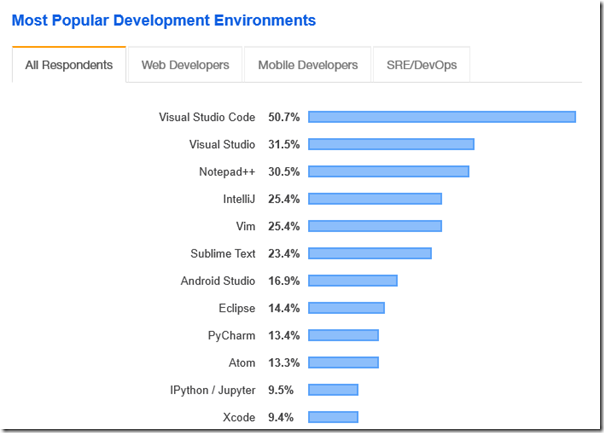 Visual Studio is a critical product then, but is it really done? 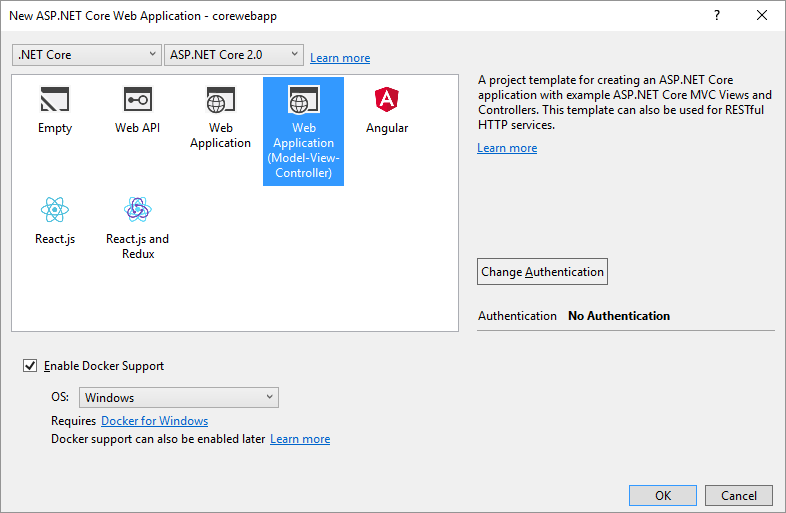 Although you can download the final product today, many parts are not available (Project Centennial) or still in beta (ASP.NET 5 is beta 5). This is a milestone though, and credit to the team for bringing it out in advance of Windows 10 (I recall some Windows releases where Visual Studio was still in preview on release day). I attended Mobile World Congress in Barcelona last week – with 93,000 attendees and 2,100 exhibitors according to the latest figures. The Lumia 640 looks good value, especially in its XL guise: 5.7” 1280 x 720 display, 8GB storage plus microSD slot, 13MP camera, 4G LTE, quad-core 1.2GHz CPU, €189 ex VAT. The smaller Lumia 640 is now on presale at £169.99; we were told €139 ex VAT at MWC, so I guess the real price of the 640XL may be something like £230, though there will be deals. 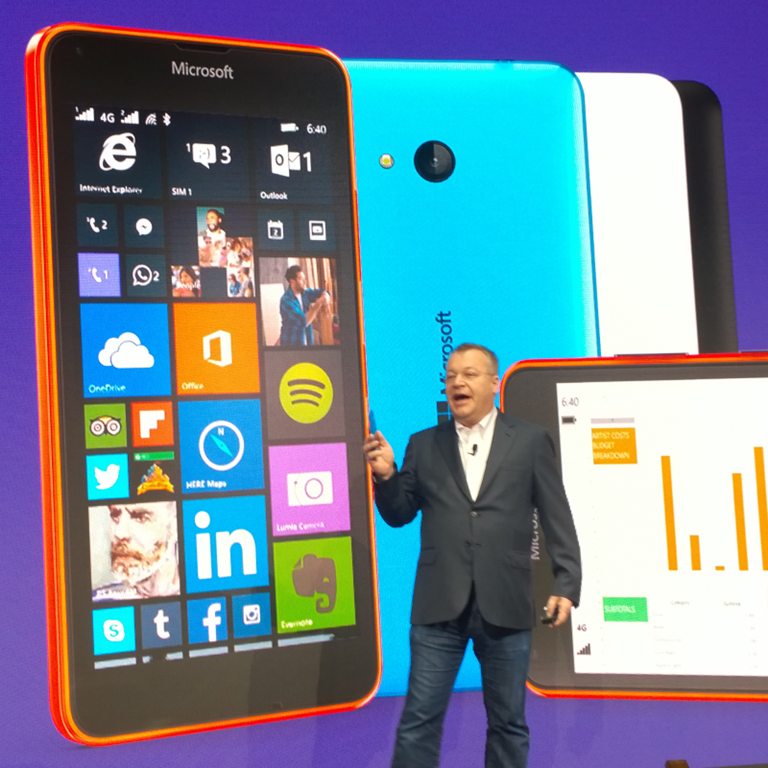 These phones will ship with Windows Phone 8.1 but get Windows 10 when available. 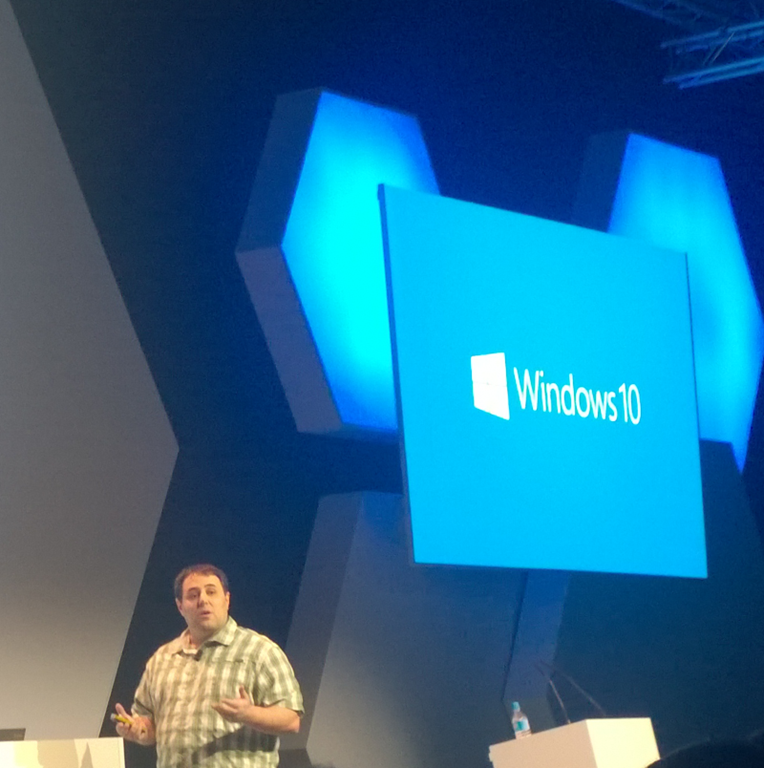 The big Windows 10 event was elsewhere though, and not mentioned at the press conference. This was the developer event, where General Manager Todd Brix, Director of Program Management Kevin Gallo and others presented the developer story behind the new Universal App Platform (not the same as the old Universal App Platform, as I explain here). This was the real deal, with lots of code. There was even a hands-on session where we built our own Universal Apps in Visual Studio 2015. Note that the Visual Studio build we used featured an additional application type for Windows 10; this is not the same as a Store app in Windows 8, though both use the Windows Runtime. As someone with hands-on experience of developing a Store app, I am optimistic that the new platform will achieve more success. It is a second attempt with a bit more maturity, and much greater effort to integrate with the Windows desktop, whereas the first iteration went out of its way not to integrate. 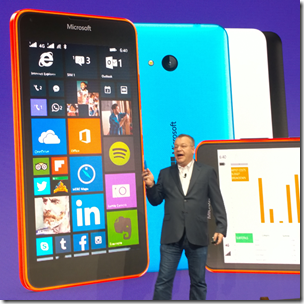 Much of the focus was on the Adaptive UX, creating layouts that resize intelligently on different devices. 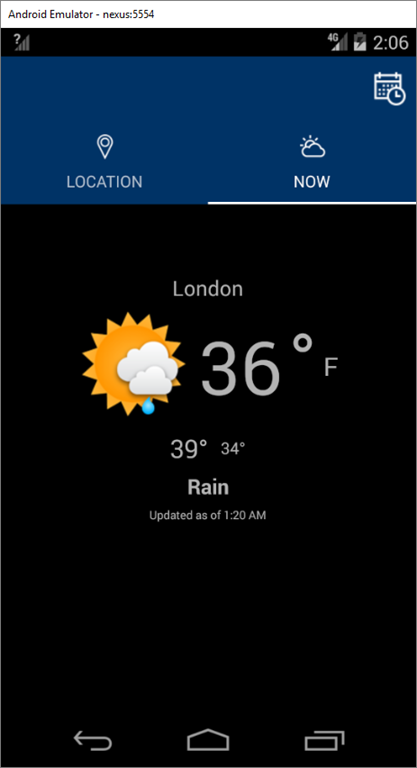 The cross-platform UI concept is controversial, with strong arguments that you only get an excellent UI if you design specifically for a device, rather than trying to make one that runs everywhere. The Universal App Platform is a bit different though, since it is all Windows Runtime. Microsoft’s pitch is that by writing to the UAP you can target desktop, Windows Phone, tablet and Xbox One, with a single code base; and without a cross-device UI this pitch would lose much of its force. Windows 7 legacy is a problem of course; but if we see Windows 10 adopted as rapidly as Windows 7 (following the Vista hiccup) this may not be a deal-breaker. The official account of the MWC event is in Gallo’s blog post which went out on the same day. There was much more detail at the event, but Microsoft is holding this back, perhaps for its Build conference at the end of April. So in this case you had to be there. Aside: if you look at the publicity Microsoft got from MWC, you will note that it is mostly based on the press conference and the launch of two mid-range Lumias, hardly ground-breaking. The fact that a ton of new stuff got presented at the developer event got far less attention, though of course sharp eyes like those of Mary Jo Foley was onto it. 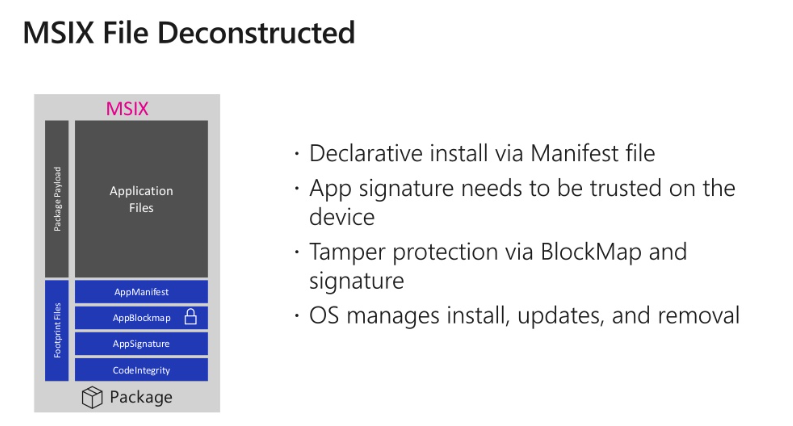 I have a bias towards developer content; but even so, it strikes me that a session of new content that is critical to the future of Windows counts for more than a couple of new Lumias. This demonstrates the extent to which the big vendors control the news that is written about them – most of the time.